Irian Jaya or Papua is the same name of one Big Island and province in Indonesia. 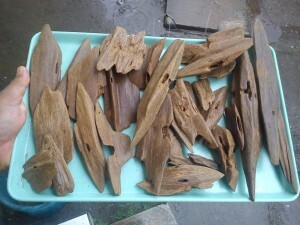 Merauke Agarwood is live under water, although there is some of Agarwood that is not. Merauke Agarwood is very different from all Agarwood in the world, from it shape, color, Weight, scent, and texture. Irian Agarwood is light, sweet, nice scent, never the same like other wood, masculine, fresh, hard to explain. What about Irian Jaya Super grade? Ops. It is hard to find and the sinking grade also. 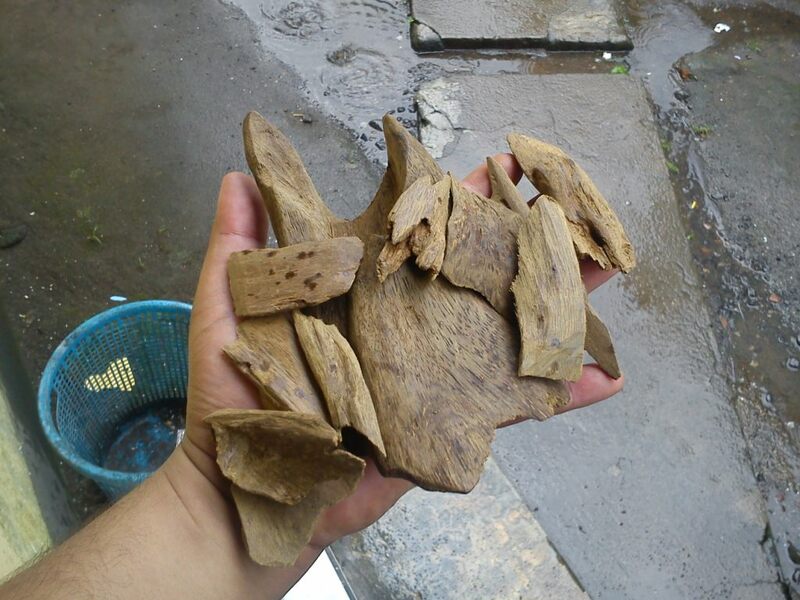 What you should notice is Irian Agarwood from low grade until high grade has the same scent character, better grade will have sweeter smell and stronger. Irian Agarwood is easy to remember; one time you smell will never forget it. Wet Irian before we dry it, we lost almost 50% of its weight.